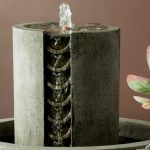 Beautiful Indoor Fountains That are as Unique as You! 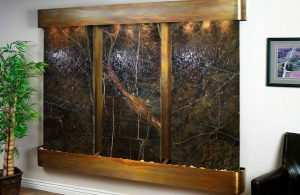 An indoor water fountain is one of the most beautiful and versatile additions that you can make to your home….Perfect for those that want to make a statement in their home that is outstanding, dramatic, and unique beyond compare. The variety of styles that are available online is truly astonishing. 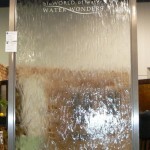 Indoor water wall features come in all shapes, sizes, and price ranges. 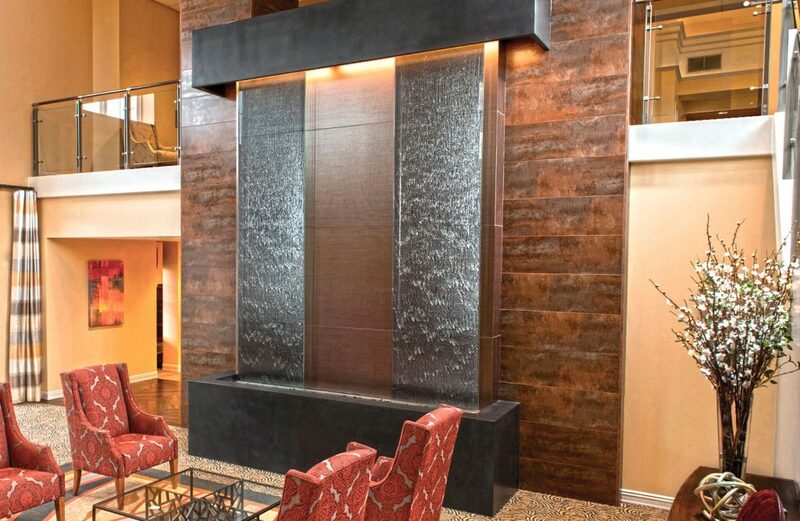 Whether you live in a cozy cottage or an elaborate Manhattan penthouse, you are sure to find an indoor fountain that fits in perfectly with your decor. 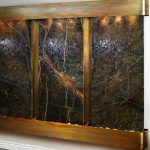 Wall Mounted Fountains are a great addition to any home or office. No space for a water fountain? Bring a wall fountain to the rescue! Simply mount the wall fountains. All suitable for indoor use, some also suitable for outdoors Outdoor Bubble Fountain; Wide range of different styles including walls and columns. Misting fountains create a light fog by using sonic vibrations under the water. Truly a unique look. They come in tabletop and stand-mounted varieties. 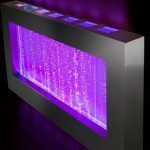 A floor fountain offers several advantages not found in the wall mount or tabletop variety; specifically they have the ability to enchant guests with its 3-D effect. 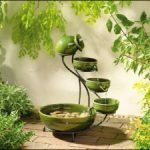 Solar powered fountain are typically tabletop or freestanding units. The solar panel is either built in or attached to the fountain via a long cable. 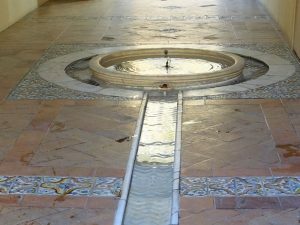 You could choose indoor fountains for several rooms in your home – a floor fountain for greeting you guests as they walked into your home’s foyer, a mist fountain for the living room, a tabletop fountain for the dining room and a large wall fountain for the bedroom. Aside from creating a unique, upscale look to your home, the tranquil sounds will soothe you after a hard day and provide them with much-needed stress relief. What’s more, those soothing water sounds create a white noise effect that will mask even some of the most annoying sounds that interfere with your relaxation. You’ll be breathing a higher quality of air because of the natural humidifying effect that an indoor fountain provides combined with the natural ability of splashing water to produce negative ions that remove pollutants and allergens from the air. With an indoor fountain in your bedroom you will find that you sleep better. 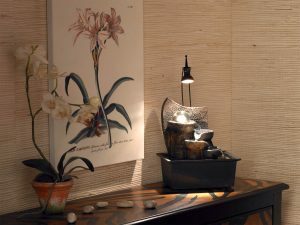 The gentle relaxing sounds of your beautiful new fountain will gently carry away the stress of your day allowing you to slip into a deep restful sleep while the natural white noise effect created by the flowing water masks out the annoying background noises that would otherwise disturb your much needed slumber. I’m sure that you’ll be happy to hear that no additional plumbing work is needed. All the indoor fountains have a recirculating pump that draws the water from a reservoir at the base of the fountain. All that is needed is to add a little water from time to time to replace what is lost through normal evaporation. You will also be breathing a higher quality of air because of the natural humidifying effect that an indoor fountain provides combined with the natural ability of splashing water to produce negative ions that remove pollutants and allergens from the air. 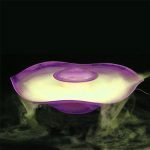 For more information, please see our pages on fountain basics and the benefits of indoor fountains.